I really like my Kodak Zi8 Video Camera. 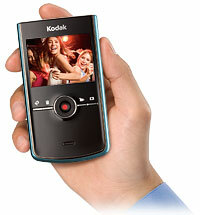 Take a look at it if you want a pocket video camera. Of course I am a little bias since I worked there for many years.